The top priority in our work is to ensure and safeguard the quality of our products and services. Quality assurance takes precedence at all stages of production at our plant, as well as in our purchasing negotiations. 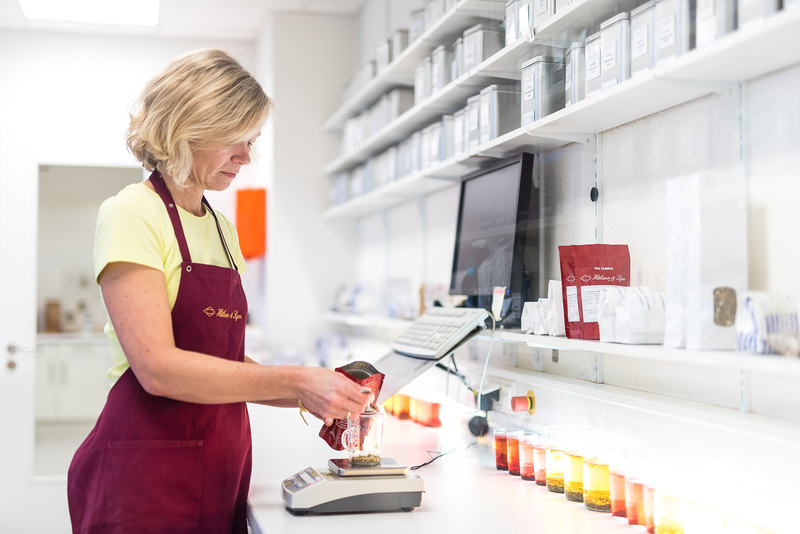 We carry out ongoing monitoring and tastings to ensure that the high standards of our range are consistently met. Our own quality assurance programme determines our choice of suppliers. We are in close contact with our partners in the countries of origin and regularly audit them. Our expert tea tasters test a never-ending stream of samples from all over the world for quality, evaluate the raw materials, and purchase them at the origin. Each tea is subjected to an intensive inspection several times: immediately after harvest, at the time of shipment, and once again when it reaches the warehouse in Hamburg. In addition, our quality control department analyses herbs and fruits for physical traits – such as bulk weight, loss on drying, and oil content. In the subsequent production process, we check the quality of the raw product from production to delivery – in a process that is certified, reliable, trackable and transparent for our customers. We ensure traceability from end product to raw material. Sensory and analytical tests are carried out both at our company and by renowned external test laboratories. Analyses of all raw materials for plant protection agents, microbiology, heavy metals, bulk volumes, sieve sizes, etc.